All accessories for industry: hoses, components, accessories and maintenance. Interseal, your Belgian industrial supplier. Well considered policy, defined vision and professional management. A fixed value for the industry! Profound knowledge, advise and excellent brand product solutions. 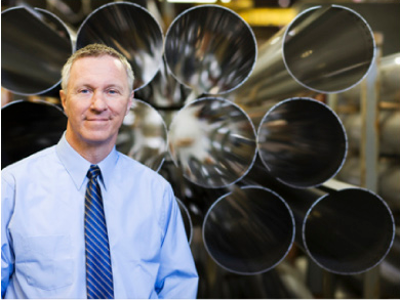 Interseal, the expert for industrial solutions. 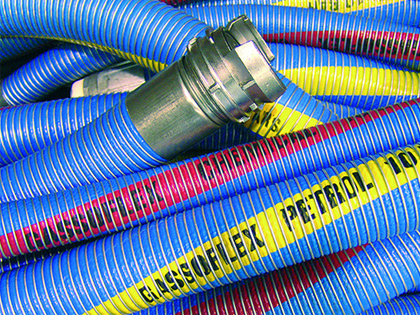 Composite hoses, flexible and resistant. All types of technical hoses and couplings: composite hoses, hoses in rubber, thermoplastic and PVD, stainless steel and PTFE. Next to this we offer a wide range of couplings for these hoses and fluid conduction. 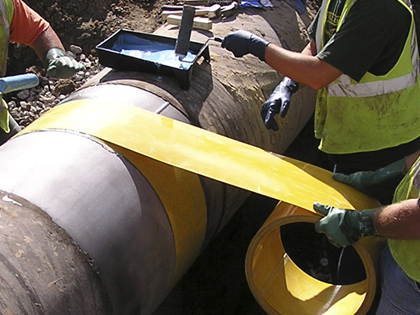 What to do when you want to repair pipe lines without cuts in a quick and safe way? Meet the Clock Spring system. No cutting or welding is required! This eliminates risks to the environment. On top of it you do not cope with an expensive down time. Welcomed the new visual identity in line with our business strategy.